Another rainy Friday and another cathedral! 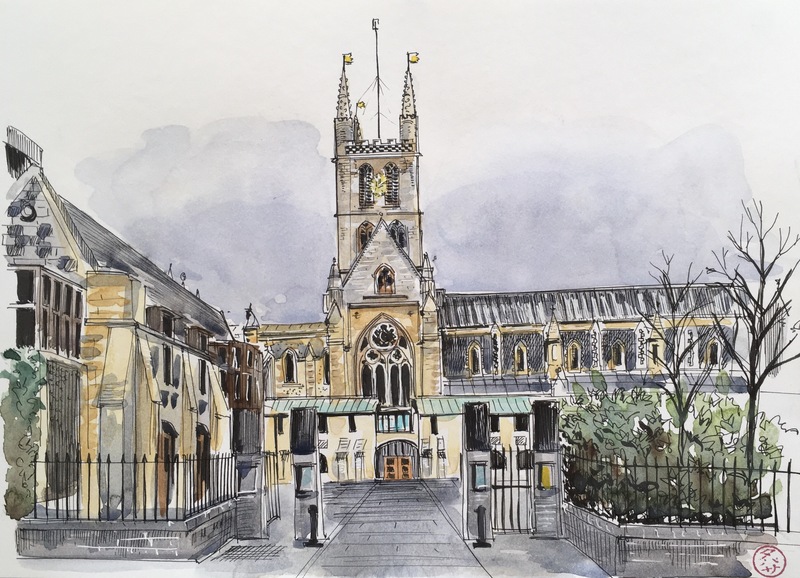 Happy memories of singing evensong at Southwark in February 2015. 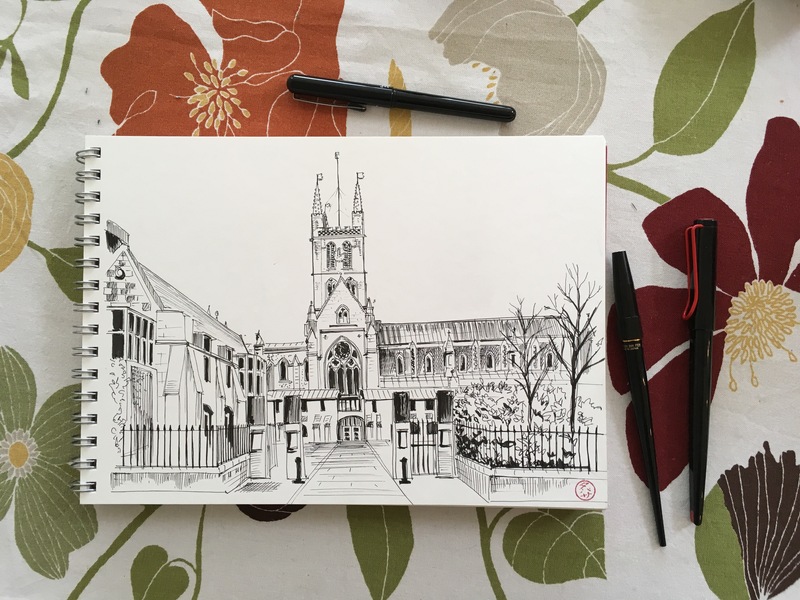 Lovely sketch of my favourite London cathedral!! Reminds me that I have not haiku-ed in Southwark. I need to catch up. Sounds like an excellent excuse to visit Borough market. I notice there are no food stalls in your sketch !! Our next concert tomorrow night in a church near Aylesbury. I love the tower reaching up into the watery rainy sky.